In 2008, 11,773 people died in alcohol-related car crashes in the U.S., equaling 981 deaths per month. College students are not an exception. At Columbia College, 28.24 percent of students reported to have driven while intoxicated at least once in the past month. In the 2008-2009 Residential Life survey, about 27 percent of people reported to have consumed alcohol more than once per week. 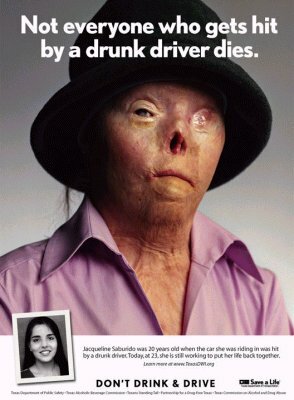 To prevent students from drinking and driving, the P.A.W.S. (Peers Acting With Smarts) program was started by the Emerging Leaders Institute (ELI) at Columbia College. Elizabeth Ball said ELI students started P.A.W.S. as a social change project. Trained volunteers will rent a car one night a week to drive students home safely. The safe ride program is provided free of charge to any Columbia College student with a valid college ID and their guests. P.A.W.S. operates on Fridays from 10:30 p.m. to 1:30 a.m. during the academic year, excluding Thanksgiving, Christmas and spring breaks. Volunteers will pick up students who call before 1:30 a.m. For a safe ride home, call P.A.W.S. at (573) 239-1941. One drink that is equal to one 12 oz. beer at 4 percent alcohol, one 5 oz. glass of wine at 11 percent alcohol and one 1.5 oz. shot of hard liquor at 40 percent alcohol or 80 proof relaxes your body’s tension. But excessive amounts of alcohol negatively affect the body. Alcohol releases endorphins that stimulate the pleasure control central nerve of brain. Because of this, people become excited when they consume alcohol and sometimes can’t control themselves. With increased blood alcohol levels (BAL), alcohol affects more parts of the body and causes illness. The blood alcohol level is the amount of alcohol present in your blood as you drink. It’s calculated by determining how many milligrams of alcohol are present in 100 milliliters of blood. • .02 percent BAL: People become light headed. • .04 percent BAL: People feel relaxed; alertness and judgment are impaired. • .15 percent BAL: People have the risk of blackouts and nausea; gross motor impairment occurs. • .30 percent BAL: Many people lose consciousness. • .45 percent BAL: A person’s breathing stops and death occurs. The short-term effects of a larger amount of alcohol include slurred speech, disturbed sleep, nausea and vomiting. Alcohol impairs the judgment and coordination required to drive a car safely. Also, it can cause aggressive acts, including domestic violence and child abuse. Hangovers are another possible effect. The long term effects are alcoholism. Other long-term effects of consuming a lot of alcohol are permanent damage to vital organs, such as the brain and liver.